Jae’s Sinful Delights, Designer Cake Gallery, makes one-of-a-kind, custom cakes and desserts for all occasions. 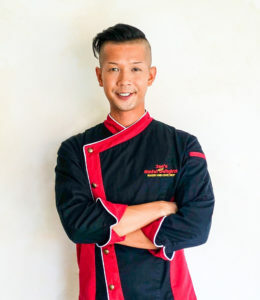 It is the creation of food enthusiast and Pastry Chef, Jae Camino. Jae has been baking since he was a toddler in his mother’s kitchen, helping her run a successful catering business in NYC. Today, Jae uses his innovative concepts with classic desserts and different flavor combinations to create unique products that set him apart from others in the industry. We only use fresh, high-quality ingredients. We also offer a great selection of gluten-free baked goods.